Backed by extensively researched, deeply featured, multi-layered sound technology, EquiSync’s perfect equilibrium of brainwave entrainment frequencies are designed to help you unlock the limitless power of your brain & mind, creating the perfect mental, emotional, and physical environment to help you reach your highest potential. I have ADD (attention deficit disorder) along with GAD (general anxiety disorder), your product is helping me with the anxiety, however I will like to know if it will help for ADD as well. 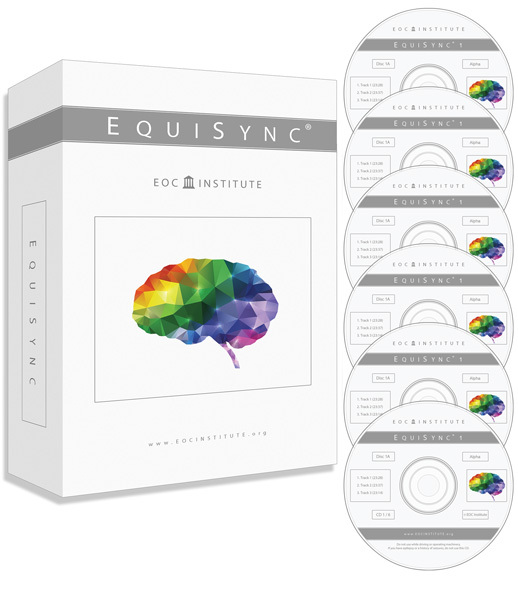 In a world of far more expensive brainwave entrainment products, why is EquiSync widely considered the very best? Some companies offer very expensive brainwave audio products, with 10+ different “levels” that must be purchased. With some costing $2,000+ and taking many years to finish, we believe this is a waste of precious time and hard-earned money. It was our thorough testing and “reverse-engineering” of these high-end programs that helped to formulate EquiSync’s unparalleled design. Considering the incredible consciousness raising/ world improving potential of this technology — we believe the more people with access to the program, the better for us all. 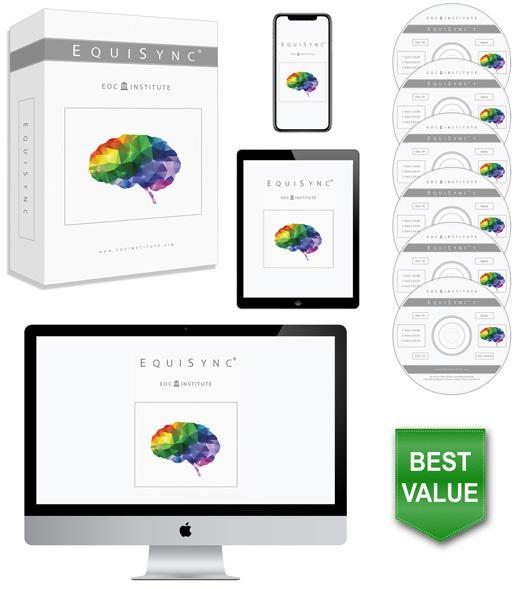 With EquiSync you get a powerfully designed, all-inclusive, cost-effective alternative that is more effective than the high-priced brainwave audio programs on the market today. What are the differences between the 3 EquiSync programs? The EquiSync programs (1, 2, 3) are each designed to put the brainwaves into varying states of meditation, thereby opening the door to an incredible array of mental, emotional, and physical benefits. You can find the differences between each EquiSync program’s brainwave focus on the charts here. Note: For clarity, all three programs are included in the price. How much time per day do you recommend? We recommend sessions of 24-48 minutes per day, which is 1-2 EquiSync audio tracks. If you don’t have that much time then you can still see good benefits from just two sessions per week. Everyday is ideal, however. Most users find the experience so pleasurable that they use the program as often as possible. D. Thoughts having less frequency and less physiological impact on the body. In this trance-like state of consciousness you can effortlessly find life solutions, release stubborn/ dysfunctional thought patterns, dig deep into your intuition, tap into your creativity, visualize goals, explore your subconscious, naturally balance your body’s chemistry, heal yourself on the deepest levels, and much more. Your goal for every EquiSync session is to achieve this state, if even for just a few minutes — you will see benefits: mental, emotional, & physical. How do I choose EquiSync programs/CDs/tracks? Is there a set program that I have to follow? A. Structured, Progressive Approach: If you would like a more structured routine, then you can progressively move the track forward every 3-4 days – from (EquiSync 1 – CD A – Track 1) to (EquiSync 3 – CD B – Track 3). Once you are finished (should take about 2-3 months), you can focus on your favorite CDs indefinitely, switching up tracks as you wish. With an abundance of powerful audio, our program provides enough brainwave stimulation for a lifetime of fresh meditative gains. B. Intuitive, Preferred Approach: This is the approach to which most gravitate, especially our most successful users. Simply put, experiment with different tracks/CDs, and focus on what you like and what gives you the greatest benefit. You don’t have to use all 18 tracks or “finish” the program, as meditation is something with an endless staircase of benefits. Focusing your time/effort on just a handful of tracks can most certainly yield big benefits. No matter which tracks you choose, consistency is the key. The EquiSync experience is so pleasurable. I am curious, can you tell me more about what I am actually hearing (the layers, etc.)? It is generally a good idea to be aware of the various layers comprising EquiSync audio technology. At the highest volume is the tranquil ambient music and/or nature background (calm ocean waves/ relaxing rainfall/ babbling brook, etc), carefully tested to maintain flowing brainwave patterns during your deep meditative state. Next, you should hear a slight rhythmic volume oscillation, up and down, of the smooth ambient background music — synced directly with the entrainment carrier frequency. This is a new feature, and a very effective form of brainwave entrainment. At varying fractional volumes are the sub-layers of EquiSync — which contain the harmonic isochronic, monaural, and binaural tones of our technology. Though less prominently audible, these tones have a very beneficial effect on the brainwave patterns, whose distinctive architecture & construction are one of the many potent EquiSync proprietary secrets. If we had to give one piece of advice, do not try to listen to the brainwave technology or the ambient soundscape, focus on your breathing. Pay attention to the effect that your thoughts have on your rate of breath and how the more relaxed you get — the less impact your thoughts have on you. After about 10 minutes of this, your brainwaves will passively mimic and sync with the EquiSync entrainment frequencies, easily guiding you into various states of meditation. Can I play EquiSync from my iPad/ iPhone/ Android phone/ tablet/ or other mobile device? 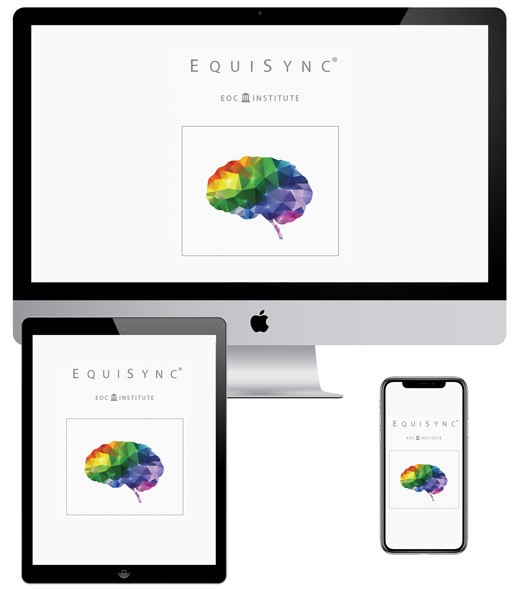 The downloadable version of EquiSync will play perfectly from your mobile device. We do recommend downloading from a desktop/laptop computer first, where you can then transfer the files over to your mobile device. This is faster and easier for most users. However, if you don’t have a desktop/laptop computer then it’s no problem, you can still download directly to your mobile device (whether it’s an Android phone, iPhone, etc). We provide instructions for that. How many CDs come with my purchase of EquiSync? How many tracks are on each CD? What are the differences between the individual tracks? There are 6 CDs in total. (3 EquiSync programs x 2 CDs = 6 CDs). Each CD has 3 tracks, 23-24 minutes in length. Generally speaking, the differences between the tracks on each individual CD are mostly in the design complexity, the degree to which each proprietary EquiSync brainwave entrainment feature has been implemented. You could say the tracks increase in intensity as they move forward (Disc B – Track 3 is more complex than Disc A – Track 1). You are encouraged to experiment with different track orders / combinations (some people respond better to more simple programs, some people like more complex, some people like both equally, etc). I see that EquiSync is split into three programs. Are they all included in the price? It is just a one time purchase, right? Yes, all three programs are included in the one time purchase price. That’s 6 CDs in total (2 CDs x 3 Programs). We designed EquiSync to be all inclusive and very affordable. I have a habit of losing files. If needed, can I come back to retrieve my EquiSync downloads in the (distant) future? Yes! After purchasing you will receive an email with download instructions and links. These links do not expire. They will work years from now. We also keep detailed records of every person who has ever made a purchase from us (which is now a 10+ year log!). We still have users from many years ago who come back after a computer crash or losing their order receipt / download instructions. We are always happy to resend the email download links. Yes, we ship all over the world every day. Transit time to most countries is about a week (the downloads are available immediately no matter your country of origin). The option of changing your country/shipping information is available on the checkout page. Your 60 day 110% money back guarantee sounds great. Is it easy to redeem if necessary? If you are in the 1 out of 100 of people who would like a refund, for whatever reason, all you have to do is contact us and let us know. Very easy. EquiSync does NOT contain any subliminal programming of any kind. However, you can certainly combine your own recorded affirmations with EquiSync if you so choose. This is an advanced technique for those interested in beneficially reprogramming their subconscious mind for success, better health, abundance, etc. Note: Meditation brings an incredible array of benefits all on its own. Most users hit their goals through pure meditation, no subliminal programming needed. The benefits of meditation are incredible. Do I need EquiSync to achieve these benefits? You don’t need any product to tap into the limitless benefits of meditation. With that said, EquiSync is designed to dramatically shorten the learning curve. Today, hundreds of thousands of people all over the world use our powerful audio tracks to improve and enhance their lives on all levels — taking advantage of the deep, highly pleasurable states of meditation on offer. Whether you’re a meditation rookie or a life-long practitioner, EquiSync can take you to the next (and highest!) level. The science behind meditation and brainwave entrainment audio technology is amazing. Where can I learn more? EquiSync’s design is based on the 100’s of studies confirming the effectiveness of brainwave entrainment technology, and 10,000’s of studies showing the powerful benefits of meditation. 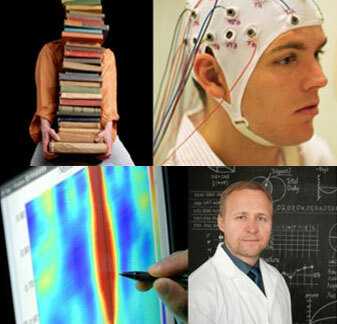 If you are interested in better understanding the power of this technology and rapidly expanding field of research, then you can find a very abbreviated bibliography here, a very small sample of the studies out there. Can you compare the strengths & weaknesses of the CDs vs the MP3 downloads? What is the transit time for the CDs? EquiSync works great for both MP3 and CD users, it’s really only a matter of preference. Our MP3s have the highest bitrate possible (320 kbps), which means maximum integrity of the brainwave entrainment audio technology has been preserved. Many people like to have a physical copy of the program, for which the CD version is the perfect solution (we should note that many customers point out how the physical version is an incredibly high quality/beautiful product!). The MP3s are, of course, available for download immediately after purchase, while the CD version usually takes 2-3 business days to arrive within the US, and a week to arrive internationally (they usually ship same/next day). Of course, you can have the best of both worlds if you choose the CD/Download combination! What kind of headphones do you recommend for EquiSync? EquiSync is designed to be listened to through headphones. This is very important! Standard (open air) speakers should not be used because each ear must perceive different tones for the technology to work. Headphones that enclose most of both ears are recommended, and definitely do not need to be expensive. An inexpensive alternative are earbuds, which also work quite well (the kind that fit inside the ear canal). Will I always have to use EquiSync to maintain the benefits achieved? You can think of brainwave synchronization as exercise for the brain. There are temporary benefits that last for a few hours, short term benefits that last all day, and long term benefits that last for much longer, just like physical training does for the body. You will not always have to use the audio tracks to maintain the benefits achieved with them. In fact, you will need less and less use in order to maintain upkeep (if you ever find a place where you feel like are happy then it is your choice to continue). However, most people find EquiSync so beneficial and pleasurable that they continue use indefinitely. EquiSync highlights a feature I am very interested in: “natural brainwave patterns.” Can you tell me a bit more about that? Many programs today focus on one brainwave frequency per audio track, usually Alpha, Theta, or Delta. It is important to know that our brains are very complex, and brainwave patterns do not emit just one frequency at a time. When electrodes measure the electrical oscillations within your brain, as done with an EEG, all the frequencies we have talked about would be present in varying degrees (beta, alpha, theta, delta, etc). This can be called your state of consciousness. The design of EquiSync incorporates the natural brainwave patterns that would mirror a highly advanced meditator, as measured in the lab. If this technology is so important and powerful, why have I never heard about it before? The healthcare industry is more focused on profit than wellness. You haven’t seen EquiSync on a nightly news commercial because we don’t make exorbitant sums of money like modern-day drug companies. Business investors would much rather put their money into a company that can keep customers buying expensive medications for life than a company offering a handful of life-transforming CDs at a fraction of the cost. As a matter of fact, we have more orders from PhDs and MDs than you can imagine! Can I use EquiSync for reading, writing, art, or creative activities? Though the program is best used during meditation, some people use EquiSync for passive or creative activities — like reading, writing, studying, or art. If you use them during meditation as instructed, then the brainwave benefits will carry over into your other activities, and really, all areas of your life. Will EquiSync help me sleep? One of the first things that people report after practicing meditation with EquiSync is improved sleep. It does not matter what time of day you use the technology, your sleep should be improved. Many people also report a clearer memory recall of their dreams, which can provide solutions and deep insight into your waking life. If you are going to use it for sleep then we recommend keeping the sessions in the normal range, in terms of time (24-48 minutes per day). It is possible to overuse the programs (e.g. looping the programs as you sleep). Keep your sessions short. When using EquiSync I have a wonderful new sensual awareness, can you tell me about more about that? There is an incredible array of physical sensations, thoughts, energies, and feelings one can experience during all levels on the meditation journey, especially for beginners. Much of this is based on user expectation and the dramatically heightened mental, emotional, and sensual awareness achieved through meditation. It is important to know that what EquiSync is causing you to experience is completely natural, not so different than what is experienced at night during sleep when many of the same brainwave patterns are present. The difference is that during meditation, your conscious mind and subconscious mind are both awake, and much of that highly important information normally closed off during sleep is now suddenly available to you — which is a very good thing. The vast array of physical sensations, thoughts, energies, and feelings are indeed very natural and normal. Your information is very safe. We use 256 bit SSL Encryption to make sure no third parties can see credit card information. In fact, we do not even see your credit card information (it is not stored). During the checkout process, there should be an icon (usually a lock) at the top of your browser which tells you whether or not the site is secure (which means that your information cannot be seen over the internet). Your browser should indicate our website as safe. I am having problems ordering with my credit card. Suggestions? The most common reason for orders not going through is the billing address not matching what your bank has on file, as our system does indeed verify if they match (for fraud protection). You will know your order went through when you get an email confirmation. If this doesn’t work then you can try clearing your cookies. If you are unsure how, do a search on google for “clear cookies _______” and replace the blank line with your browser (Chrome, Safari, Firefox, Internet Explorer, etc.). Then try the checkout process again. We would also recommend using a different browser, such as Firefox or Chrome — which both work particularly well. Of course, you can always use Paypal to order, which is available on the checkout page. With 100,000+ extremely satisfied EquiSync® users all around the world, and product return rates close to non-existent, it is important that everyone get to see the benefits for themselves. To help make your decision to give EquiSync a try as easy as possible, we’re offering a product guarantee like no other. Upon ordering EquiSync, we’ll give you a full 60 days to try it out. If at any time during the first 60 days you feel it doesn’t live up to its promises, we’ll not only give you a full refund, we’ll also pay you for giving it a try. Yes, that’s correct. If EquiSync doesn’t work out for you – no matter the reason – we’ll pay you for giving it a try. How is that for confidence? All you have to do is simply notify us of your intent to return at any time within the first 60 days, and we will give you a 110% refund – shipping included! The only reason we’re able to make such an offer is because we know that EquiSync is the powerful, life-transforming tool we say it is. To experience the Equisync way of life for yourself, risk-free, order today.